Frederick Ashton's chic and brilliant ballet delights in a dazzling Stravinsky score. There are currently no scheduled performances of Scènes de ballet. It was last on stage 18 October—12 November 2014. Drawing on the choreographic language of Marius Petipa, Ashton creates a classical grand pas de deux, with ensemble dances, variations for the two principals and a final, ecstatic apotheosis. 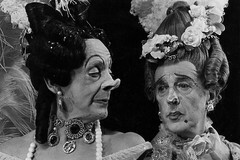 Frederick Ashton's Scènes de ballet was one of the choreographer's favourite works. He described its 'distant, uncompromising beauty, which says I am here, beautiful, but I will make no effort to charm you'. Its icy glamour was inspired by Stravinsky's neoclassical score, itself both an impertinent and strictly formal take on the classical Tchaikovsky pas de deux. Ashton adapted the romantic choreography of Tchaikovsky's dance counterpart, Marius Petipa, while matching Stravinsky's hard-edged geometry to create a ballet with breathtaking floor patterns. 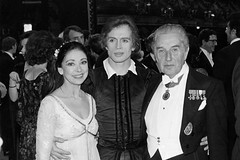 Margot Fonteyn and Michael Somes created the central couple in the ballet's premiere on 11 February 1948. French artist André Beaurepaire designed the sets and costumes, creating devastatingly chic takes on classical tutus and tunics decorated with geometric patterns. Ashton insisted on pearl bracelets and chokers for the women, highlighting them in his choreography with wrist flicks and coquettish nods. Patterns pile on patterns towards an increasingly elaborate climax in Ashton's most modernist work, as much a celebration as a witty reworking of ballet's traditions. Frederick Ashton created more than one hundred works during his lifetime (1904–88). For further information, please visit www.frederickashton.org.uk. Exclusive online films celebrate the choreographer and his work, and include his signature ‘Fred Step’ in super slow motion. Audience comments from the first night of works by Frederick Ashton, including Scènes de ballet and Symphonic Variations. 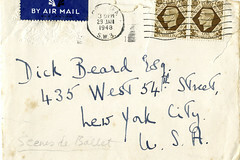 In this 1948 letter to dancer Richard Beard, Ashton discusses the creative process behind Scènes de ballet. The choreographer’s signature appears in nearly all his ballets – but it's not always easy to spot. Our quick guide to Scènes de ballet, Five Brahms Waltzes in the Manner of Isadora Duncan, Symphonic Variations and A Month in the Country.